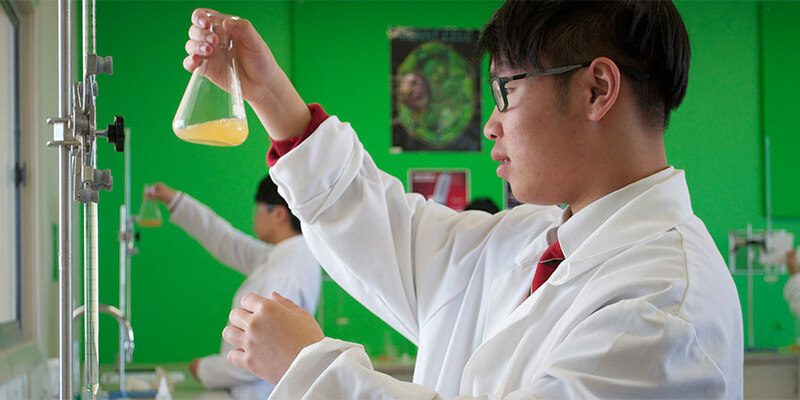 At Cedar College we recognise that the Senior School curriculum should not solely be focused on the ATAR, but about providing a curriculum that leads to a career – whether that be tertiary education, or another suitable pathway. The Senior School, therefore, offers a careers programme which assists in identifying the future pathways of each student. A broad-based curriculum provides the opportunity for these young adults to pursue their aspirations and long-term goals while developing their God-given potential. 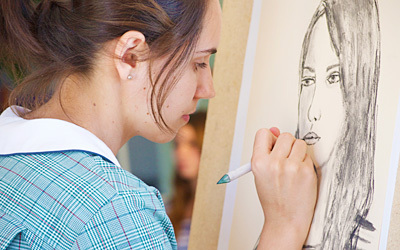 With the aid of the Personal Learning Plan in Year 10, Senior School students are encouraged to focus their future subject choices on areas of career interest and ability. A range of subjects is offered in the Senior School including the core subjects English, Mathematics, Science, History, Geography, P.E. and Christian Living, as well as specialist subjects such as Music, Visual Arts, Food & Hospitality, Information Technology, Drama and Design & Technology studies. In Year 11 and 12, further options such as Physics, Biology, Chemistry, Information Processing & Publishing, Specialist Maths and Legal Studies are available for students to specialise further. Participation in Work Experience is a mandatory requirement for all students who are in Year 10. Students are expected to complete one week of work experience during the last week of Term 2. By Term 1, students are expected to finalise their work experience placement, have their Workplace Learning Agreement Form, and Work Health and Safety Checklist completed and returned to Cedar College’s Pathway Coordinator. Mandatory work experience is associated with many VET courses. Placement usually occurs during school holidays and workplace learning preparation must be completed prior to attending work experience. The ‘Guide to Workplace Learning for Parents and Caregivers’ can be accessed here. The ‘Guide to Workplace Learning for Students’ can be accessed here. The ‘Guide to Workplace Learning for Workplace Providers’ can be accessed here. For a full list of the current curriculum offered, download our Senior School information brochure. Students in the Senior School are also regularly challenged about the spiritual aspects of their lives through the Christian curriculum offered, as well as the continual overlap of God’s creation and design which is evident throughout all curriculum areas. Subjects such as Christian Living and Vetamorphus (refer to Senior School Curriculum Book) are designed to help students explore and learn more about God and Jesus Christ, and how this effects their lives and the world around them. The Senior School seeks to fulfil the vision of Cedar College to provide a high-quality and caring educational environment for students from Reception through to Graduation. The Senior School Curriculum Book contains course outlines and requirements for Courses offered in Year 10-12 at Cedar College.